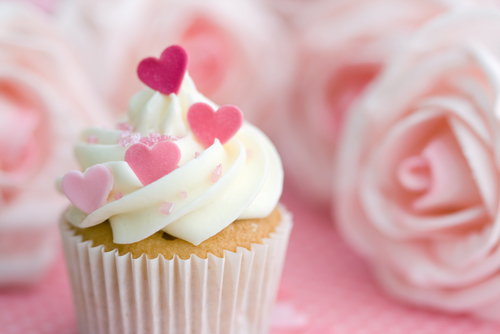 Ideas for motivating and recognising your employees should last far beyond Valentine's Day. 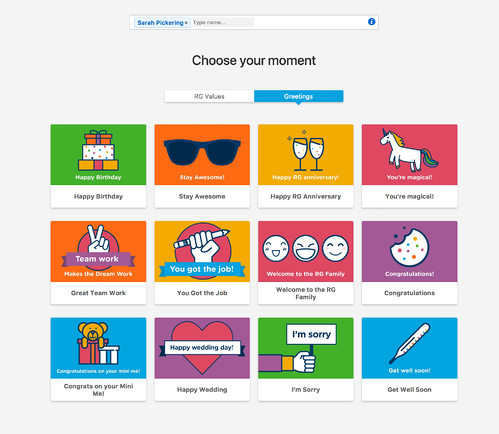 Build your own recognition programme! Valentine’s Day is, of course, the day of love. It is a time to show the ones you love just how much you care. In the workplace, the holiday can serve as the perfect opportunity to show some of that love to your employees. After all, they are the ones who are working hard for your company, day-in, day-out, all throughout the year. As an employee in the professional world, there are few things as satisfying as an employer who shows appreciation and recognition for all of that hard work. By now, you probably know how much value an engaged employee can create for your organisation. Businesses with strong employee engagement programmes are proven to have a more productive and innovative staff that makes better decisions. Employee recognition is one of the key contributors to achieving higher levels of employee engagement. Positive reinforcement can boost morale and help motivate a team to reach its goals and produce real results. But more than half of employees say they don’t feel that their boss does enough to show appreciation. So how can you get the message across to your workers, and help boost engagement? If you are looking for some inspiration this Valentine’s Day, you’re in luck. We’ve got some ideas that will have “Work Cupid” knocking at your office door! An easy way to help bring a group of people together is with a theme. If you’re familiar with Hawaiian Shirt Friday, you’ll know where we’re going with this one. Encourage your employees to wear red on Valentine’s Day. This small act of dressing the part may get everyone in the “loving” spirit. Bonus points for employers who can even make it part of a contest in which the most enthusiastically red-dressed employee wins a small prize! In addition to having your employees dress the part, an easy and fun way to boost morale is by dressing up the office. We all know how much of an impact a bright and inviting workplace has on productivity. 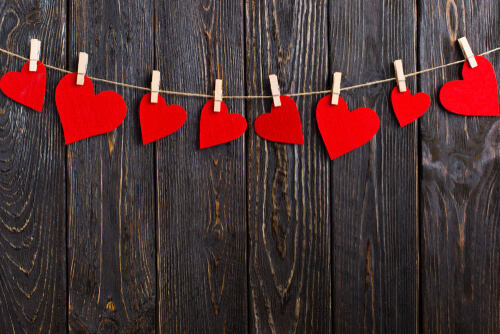 Ask a few employees to come together to string up some lights, hearts and banners around the office, to make it really feel like the day of love you’re hoping to celebrate. A strong culture of continuous employee recognition can only be produced with integrated, visible moments of acknowledgment. And many companies struggle to create a space that allows real recognition to cut through the clutter of daily work and announcements. Another benefit of a simple peer-to-peer eCard programme is that it fosters a spirit of generosity, support, encouragement, and respect. When a company encourages its employees to congratulate one another on a job-well-done, the feeling of gratitude can soar. This, in turn, will help morale soar, and it will even help motivate employees to work harder toward the organisation’s mission and goals. Using eCards is a smart method for boosting employee recognition by giving your people the tools and space to say, “thank you.” It’s the first step towards building a culture where recognition is abundant and your entire organisation can feel — and be a part of — gratitude at all levels. Few things bring people together like food. An easy way to boost employee engagement on Valentine’s Day is by hosting a company (or team) lunch. 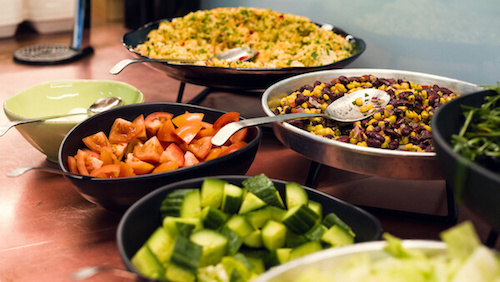 Place an order for some catered food or plan a buffet in the break room to bring folks together during their lunch break as a low-cost way to motivate employees. Oftentimes, employees eat at their desk and “work through” lunch, and if this is the part of the culture of your organisation, the special lunch will be very appreciated by all. An organised lunch will also give employees the chance to bond and open up about their work. Giving workers this opportunity to express themselves will only further boost employee engagement. Remember to consider allergies, and bonus points go out to those who remember to plan a sweet dessert! If chocolate's included, that's usually a big win. If an entire lunch isn’t in the cards for your company, why not let workers indulge in a little sweet treat for Valentine’s Day? Rent or buy a fondue kit, stock up on some chocolate, strawberries, cookies, and other sweets, and gather up your party. Nail this idea and Marie Kondo won’t be the only one sparking joy in 2019! Another easy way to up your recognition game is to champion social media within your team or organisation. Social recognition programmes shine a spotlight on moments of excellence by seamlessly integrating into an engagement strategy. They make it easy for employees to showcase and praise success across your entire company. Recognise your people on social media this Valentine’s Day, and you’re sure to be adored for it. Instead of relying on basic social media pages, some companies choose to use a specialised social recognition wall feature, which can be used to publicly announce and boost both peer-to-peer and manager-to-employee recognition across the entire company. By using the social media interactions which are already a part of your employee’s daily lives, your team can congratulate others with a simple click of a heart, “thumbs up,” emoji reactions or thoughtful comments. Everybody wants to be “Insta famous” nowadays, and an internal social recognition wall helps create that feeling. Giving your employees their shining moment on their favourite platform will only help boost your own 'likes' and loyal followers. Use Valentine’s Day to wear your company's heart on your sleeve. 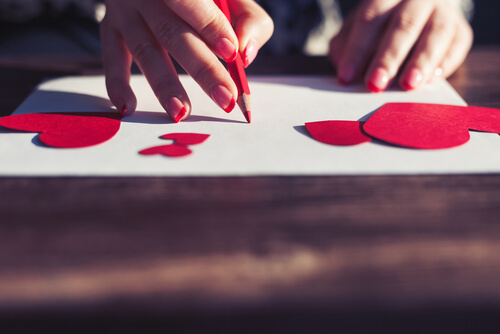 Have employees vote on a charity for the business to make a generous donation in honor of Valentine’s Day to show a little love, or spend the usual 3 p.m. slump with an hour of making Valentine’s Day cards to send out to veterans or families that could use a pick-me-up. The "Metro" put out an article recently on where you can drop off some words of encouragement to people in need. While Valentine’s Day is a great excuse to show your people some much-deserved love and appreciation, it shouldn’t be something that only happens once a year. Continuous recognition builds true connections more than conversation hearts and sweets ever could! Finding new ways to put employee recognition in the spotlight will help deepen your connections and grow employee engagement. Studies show that organisations with engaged employees more than double productivity and returns of their peers. Engaged employees build stronger, more resilient companies. Ultimately, employee engagement is a marathon, not a sprint. There’s no shortcut or quick fix, but it is the most valuable and worthwhile work you can do with your most important asset—your people. Happy Valentine’s Day from Reward Gateway!